Our mascot Jog Scotty has had pups! 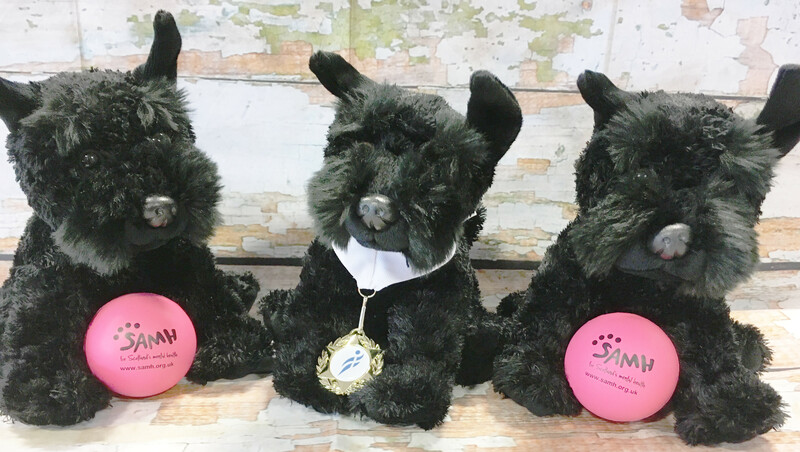 Sammy, Agnes and Lee are small black toy dogs who represent physical and mental wellbeing, a symbol of the partnership that exists between jogscotland and SAMH (Scottish Association for Mental Health). They are part of a new initiative to help jog groups to engage in conversations around mental health and wellbeing. Jog Leaders from 23 jogscotland groups across the country have signed up to take care of one of the dogs for a few days, take it along to their jog group for photos, and use it as a starting point to introduce a session focusing on mental health and wellbeing. Each dog comes with a toolkit containing several ideas for sessions. 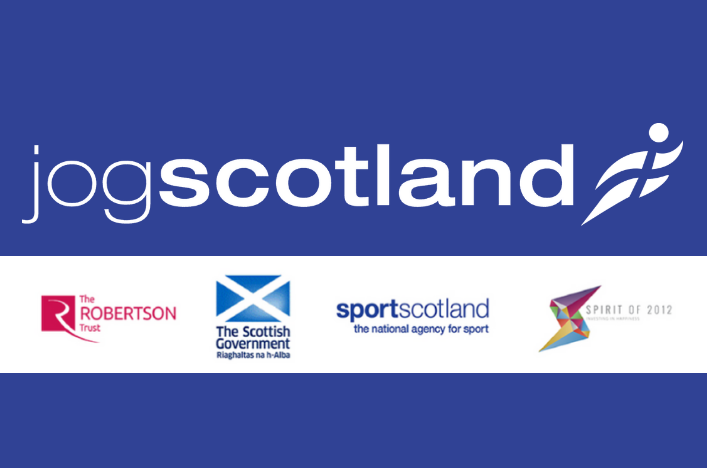 Groups will share their photos on social media with a few details of the session they host, to inspire others, and these will in turn be shared by jogscotland nationwide. 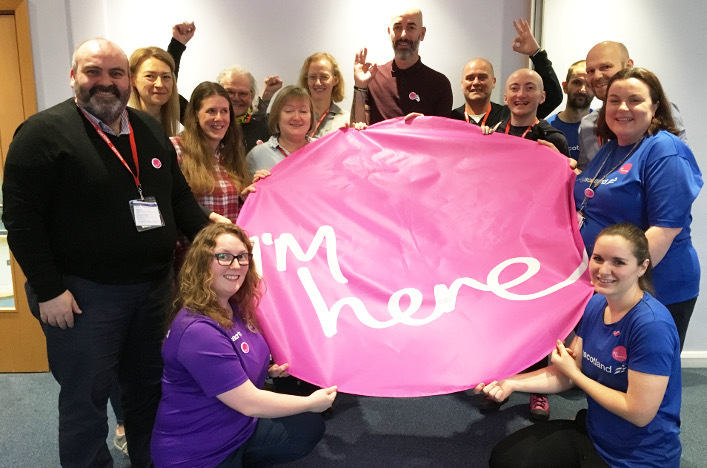 Sammy and siblings will make their way from group to group, travelling around Scotland and finishing back at jogscotland HQ in Edinburgh in time for World Mental Health Day in October. Follow Sammy’s Road Trip on facebook! The tour starts on 3 May with a visit to the Alexandria, Clydebank and Dumbarton jogscotland groups run by WD Leisure. As well as getting joggers talking, the journey will provide an opportunity to connect neighbouring jogscotland groups as they pass the pups on in person where possible. We hope the initiative will help jog groups promote wellbeing to their joggers, make members feel more comfortable talking about mental health, and to let the population of Scotland see that jogscotland and SAMH are working to reduce barriers to participation in physical activity, and to challenge stigma and discrimination surrounding mental health.